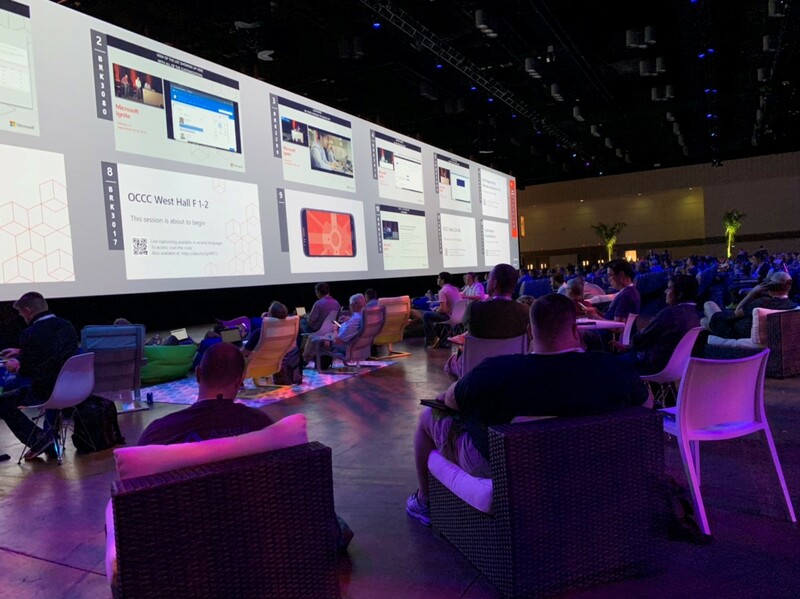 Our field team returned from Microsoft Ignite with this digest of key takeaways. Microsoft Teams is getting a lot of air time this year. When selecting sessions, we thought we saw more sessions on Teams than on anything else, even Exchange. Teams is undergoing a fundamental shift. Microsoft is repositioning it as the default collaboration workspace. In its vision, it will take on at least some of the communication traditionally done via email. Teams has a great deal of potential to create functional, virtual spaces for groups of people (lowercase ‘t’ teams). Teams will have all the communication elements of Skype/Lync, including IM, Voice, and Meetings with enhancements. VOIP calling will also be available for all Teams users, including those on Office 365 E3—you no longer have to have E5 for voice. Written notes will live in webpages. You could have, for example, a matter-centric NetDocs repository linked to the client team and matter channel. Microsoft is quietly admitting that the product was not quite ready for primetime when it was released last year. A lot of investment has been made in voice, in particular. As a result, Teams would now be able to suit the needs of most of our law firm clients. At this point, however, it doesn’t seem possible to gradually transition from email-based collaboration to Teams. As far as implementation goes, it seems to require an all-or-nothing approach. The Teams transition signals a recognition that how we work is fundamentally changing. Hardware partners are catching up as they complete a new Teams certification platform. Standard players (Plantronics, Yealink, etc.) and existing Skype for Business-certified devices are still supported (for now, anyway). There will be no in-place upgrade. From now on, you must build new and cut over. Skype for Business will have hybrid cloud and Teams options. Teams is set to eventually replace Skype. Microsoft encourages that you consider Teams first and only stay on-premises if an unsupported workload requires it. Exchange Cloud Voicemail will replace Unified Messaging functionality with Exchange 2019 (since it no longer exists). Exchange 2019, expected to be released this fall, is the latest on-premises release of Exchange and targeted at large organizations that have specific on-premises requirements relative to security, data sovereignty, etc. As such, this release focuses on delivering advanced security, performance, and improved administration and management capabilities. Additionally, unlike in previous versions of on-premises Exchange, Microsoft has again separated the code paths of Exchange Online and Exchange Server so as to more efficiently develop and release new features for each platform. More to come as more information is released publicly. For a deeper dive into any of the latest updates revealed at Ignite, contact us. We would be glad to set up a discussion.